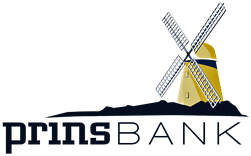 Because almost nothing is closer to your heart than your home, PrinsBank offers a full range of options for financing your new home or helping you improve your present home. When you borrow money, you usually need “collateral” – something of value to pledge to back up a promise to pay a debt. Home Equity Loans are loans made with the equity in your home being pledged as the collateral. Simply bring your need to us and see if we can help. There is no charge for our initial consultation process and our rates are extremely competitive. To start the process, call PrinsBank and schedule an appointment with one of our friendly lenders and explore your options!